Our services are used for testing the following: Erichson cupping test macro examination microstructure examination classification of graphite in cast iron by comparison method total case depth measurement by microscopic method tensile strength proof load bend test yield stress, flexural load test breaking load, hardness – rockwell superficial vickers micro-hardness charpy (ASTM) impact tests-izod shear hot tensile tests, welded coupons. Backed by an experienced team and sophisticated laboratory, we render highly reliable Mechanical Testing Services. These testing services are availed by various worldwide industries. All the testing machines and equipment installed in our laboratory are calibrated in the presence of different inspection agencies, which make us a trustworthy mechanical testing service provider. We are one of the "govt approved laboratory" offering reliable testing service. 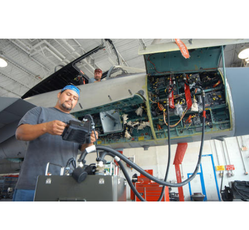 Looking for Mechanical Testing Services ?